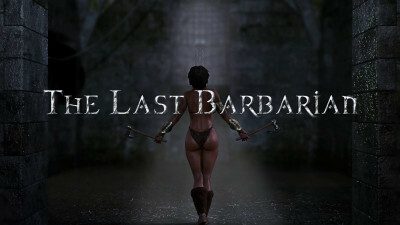 "The Last Barbarian" — is a third-person action role-playing game. You are encouraged by the game to proceed with caution, learn from past mistakes, or find alternate areas to explore. If you are not careful, monsters will be able to you and you will have to start from the very beginning. “The Last Barbarian” takes place in a fantasy N'ul-realm, plunged into darkness and debauchery after the arrival of the ancient Goddess of Flesh. She gives everyone what they want most. But she distorts all desires and so the whole world is plunged into perversion and violence. Everything around is nourished by sexual energy. The protagonist of the game woke up in the dungeon after the battle with the orcs in her village. She is the last barbarian from a tribe of local Amazons. They never submitted to anyone and valued only their freedom and love. But now she is driven by a thirst for revenge and a desire to revive her tribe.